In the 1920s, Chinese teachers of the liberal arts were at pains to oppose what was known as the ‘partification’ 黨化 of education. The imposition of partisan ideology through the promotion of political songs, nationalist narratives and party propaganda (in this case of the Nationalist Party 國民黨) would, they feared, inculcate a new orthodoxy as well as a slavish mentality among the young making them thereby easy targets for political manipulation in the future. Within the May Fourth generation of intellectuals and teachers a century ago there was a fear that China, having only with great difficulty sloughed off the orthodoxy of statist Confucianism, that is a system that used Confucian texts, ideas and behaviour to train young men for service to the ruling dynasty, would thus fall prey to new, and equally stifling orthodoxies. They feared that, in the process, generations of young people would be trained who were handicapped, incapable of free thought or creativity. In little over two years, the People’s Republic of China will celebrate the seventieth year since its founding on 1 October 1949. By that time, no scholars or learned individuals educated in a China unsullied by the Communist Party’s ideological taint will still be alive and active. Revived traditions of scholarship and broader modern, global education thrives on the mainland, but all who might believe themselves to be unencumbered by Party strictures have nonetheless gone through a childhood and adolescence in the shadow of the Party, its ideas, language and practices. In the following interview, Jao Tsung-I (饒宗頤, 1917-), the Grand Old Man of Chinese Letters in Hong Kong, discusses New Chinese Classics and the concept of the Complete Scholar, or Comprehensive Scholar, the 通人, one whose learning is grounded in the diverse fields of Chinese as well as universal intellectual and cultural pursuit. Elsewhere in China Heritage we have extolled the strengths and virtues of 修養 xiūyǎng, or formation, part of our long-term advocacy of New Sinology 後漢學. Tōng 通 means to gain access, pierce, to wear, to traverse, to bring together through thorough understanding, connect, complete, comprehensive, to be insightful, to master, penetrating and so on. To be a tōngrén 通人 is to be nurtured by intellectual and cultural xiūyǎng. Our friend Richard Rigby is a dogged reader of the People’s Daily which, as only true connoisseurs appreciate, in its arts pages occasionally publishes material of cultural value and interest. Some time ago, Richard circulated the following interview. At my suggestion, students studying in John Minford’s translation programme at the University of Melbourne worked on the text under the supervision of Carol Ong, Annie Ren helped coordinate the project. I am grateful for that draft translation, it forms the basis for the following text. For the original, see here. We have retained the style of questioning used by the journalists in the People’s Daily ‘central reporting hub’ or 人民日報中央廚房, but have deleted the New China Newspeak-style introduction (that can be read in the original online). In this Q&A we find another example of what we frequently refer to as ‘Two Chinas’: Official China and Other China. Only the uninitiated, or cloth-eared Old China Hands 中國通 of the kind mentioned above, might fail to appreciate the difference. It’s so hard to nurture comprehensive talent! 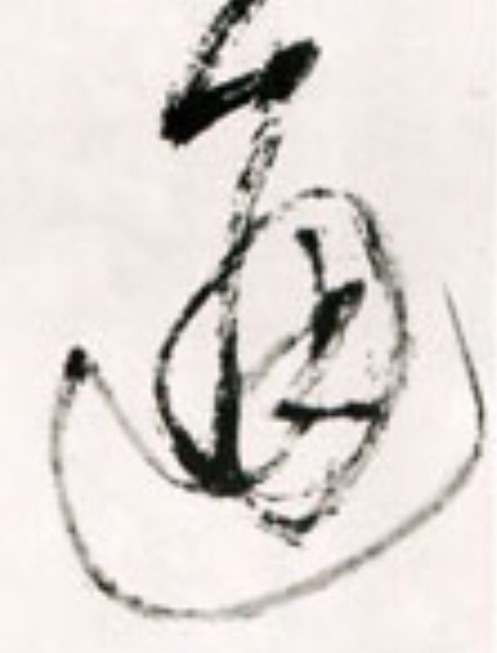 The character 通 tōng in the hand of Wang Duo 王鐸 of the Ming.